And can be intimidating to talk about with kids. But it’s so important that we do. We want our kids to not just be empathetic to challenges others are facing, but also feel empowered to help. Caring about people who are struggling with hunger is great. Helping people who are struggling with hunger is even better. That’s why we’re so excited to partner with Scholastic and Feeding America for their Hungry to Help program. They’ve developed a free program full of tools and activities you can do with your family to help fight hunger. Let’s help our kids practice empathy and show them how they can support those who struggle with hunger! One in six children in the U.S. may not know where they will get their next meal. Sometimes the only meals these kids get are at school–which makes summer especially tough. It can be a devastating time for children. Hunger is a monster that hinders kids’ physical, emotional, and social well-being. But it is an issue we can tackle. When you teach your kids about hunger in your community you are encouraging empathy for others and inspiring them to help other kids. Empathy is a skill that gets stronger and stronger with practice and summer is a great time to give kids a chance to do good. Developing empathy gives kids a chance to stand up–not just stand by–for something. That is how we raise confident and caring adults. 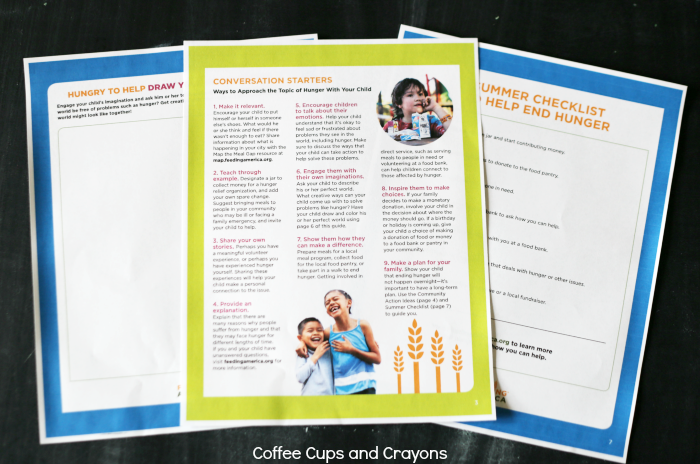 Feeding America and Scholastic have developed a comprehensive resource to help parents practice empathy with their kids and help support those struggling with hunger in their communities. It has everything you need to start making a difference in your community! It doesn’t have to be hard to teach kids to help fight hunger. It starts with small conversations, awareness and little acts of kindness that kids can do. 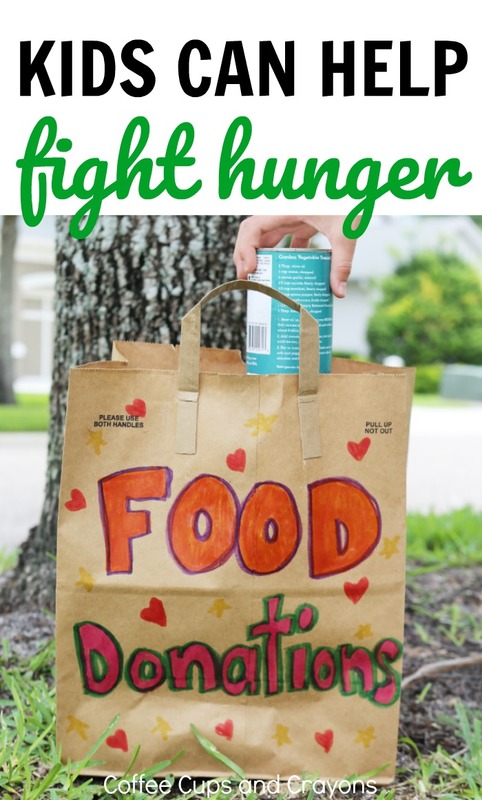 Buying an extra item of food at the grocery to donate to your local food bank, having a lemonade stand to raise money for a food pantry, hosting a food drive for your neighbors are all easy ways kids can help fight hunger. 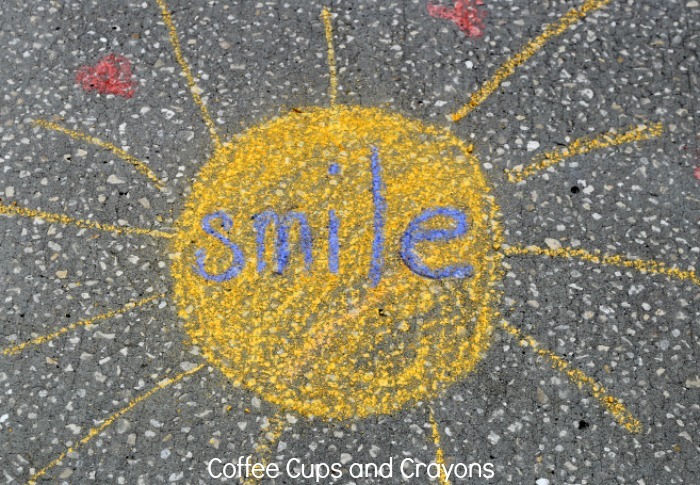 One fun idea we decided to do in our neighborhood was to host a combo sidewalk chalk message writing and food drive play date. The kids all brought non-perishable food items for our local food pantry to the play date. Then they went around the neighborhood writing sidewalk chalk messages for the neighbors and then came back to our house for donuts. It was a fun way to teach kids to help fight hunger while making the neighborhood smile–a total kindness win! 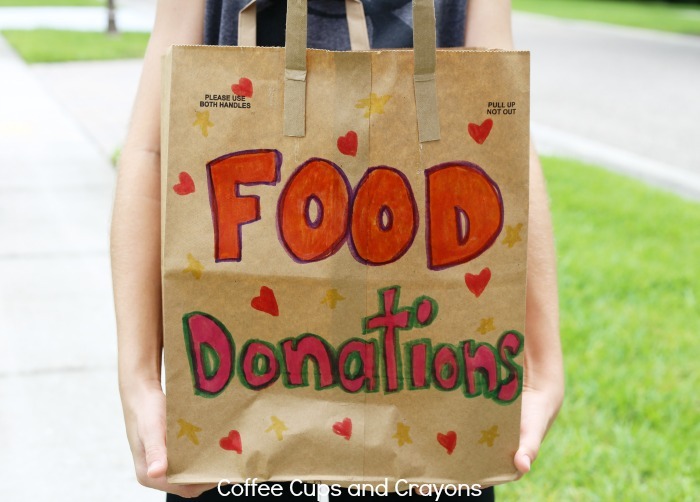 There’s so many ways you can get your kids involved to help support those who struggle with hunger in your community. Visit Feeding America for tons of information and resources and use the Family Action Plan to start making a difference with your family! This post is sponsored by Feeding America and Scholastic. All ideas and opinions are, of course, my own.